By default WooCommerce Cart page does not have a ‘Continue Shopping’ or ‘Return to Store’ button. However if you go to the cart page when the cart is empty, there is a ‘Return to Store’ button. We just need to add this button code to the cart page when the cart has items. First create a folder named ‘woocommerce‘ in your child theme folder structure, then copy /wp-content/plugins/woocommerce/templates/cart/cart.php both the folder cart and template cart.php into your woocommerce folder. 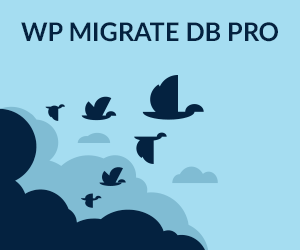 So the file path will be /wp-content/themes/yourtheme/woocommerce/cart/cart.php. This will forceWooCommerce to use your child cart.php template or other cart template you also copy across. The apply_filters is removed as the filter will already be applied from the original code. You can change the wording in the pasted code from ‘Return to Store‘ to ‘Continue Shopping‘ or whatever you like. This will add the button in place alongside the other 2. 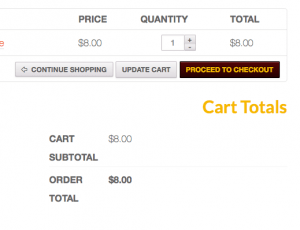 You can also add this button anywhere in your templates including the Checkout Page. If you also want to change this, then copy the checkout/review-order.php template & folder into your woocommerce folder in your child theme. Instead of using templates you can add it in via one of many WooCommerce hooks the benefit of using the hooks is that you don’t have to update the WooCommerce templates in future upgrades. So in the above the button is added just after the coupon info with the woocommerce_cart_coupon action, to find the correct hook you need to look at the WooCommerce templates and find the one nearest to the position you want. You can also use the woocommerce_cart_actions to position the button on the right, that action is commented out in the above code – either use one or the other. The code returns the user back to the shop URL, you can change the url by editing the href value or alternatively filtering the WooCommerce shop URL to be a different page. How we can add checkout button ( order pay ) to order details page? Also managed to add the button on the Single Product posts, at single-product.php, but need to fix the position of it as well. I am kind of confused on your first step: “First create a folder named ‘woocommerce‘ in your child theme folder structure”. How do I do that? You’ll best of need either a FTP or Cpanel access to your website files and folders – if you are not too sure what that means ask your host provider – and also since you are not too familiar with these concepts I would strongly advise on taking a site back up prior to making any changes – best of luck! Thanks for the advice, very useful. 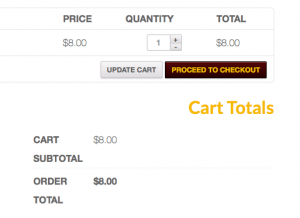 The only change is I added the code to the proceed-to-checkout-button.php file instead of cart.php. The button now sits right next to the proceed to checkout button, which personally I prefer. I also followed the advice to only copying the cart folder as mentioned in the replies above. Code is not working for me, something is missing? Someone have any idea how should i customize the link ? Is the code still working? thanks a lot. This is nearly what I’ve been looking for since a couple of hours now. Really good snippet! Specifically, I’ve been trying to add a second button to the woocommerce message that appears after clicking “add to cart” (for variable products in case that makes a difference). Atm it says: Youve successfully added product x to your cart and then there’s a button “go to cart”. I want to have another button underneath the “go to cart” button, which would be a “go to checkout” button. How would I adapt your code to do that? I tried adapting your code for these 2 hooks:wc_add_to_cart_message , woocommerce_add_message but failed. Thanks a lot and looking forward to hearing from you. Thank you very much for the tip. It works nicely. I need to add some additional CSS to align the “Continue Shopping” button with the other 2 buttons. I used only for the Cart page. how can i put the back to shop button in the single product page. i had put it into the content-single-product.php, no luck. i want to put the button next to add to cart button. thanks Neil, it works great. but when i put it in the variable product, something went wrong. you can see the output in here. sorry for the many question i asked. thanks for the tips. like to know how can i make the border equal as the update cart and checkout button? Hi Hanson – not too sure what you mean – do you have an example? the button for return to store didnt had the same size with update cart and checkout button. Can you confirm the correct path to the edited cart.php template in the child theme we should now have? Thanks Neil. That works well. Do we really need to copy over all templates in cart folder to child theme? Surely only cart.php is required. I don’t like having un-modified templates in child themes as a rule as it confuses the hell out of me. Don’t you agree? Yes agree, only copy over what you are going to change. Would you know the relevant php I should use to edit this? Change won’t be overriden as child templates are being used not the parent ones. Sweet deal. It worked really well!